Both Apple and Qualcomm are insisting that their victory in a U.S. International Trade Commission ruling, due Tuesday, will be essential to the future of 5G in the country. "Without current 4G sales to Apple, Intel lacks a viable path forward to compete for coming 5G baseband chipset sales," Apple argued in a recent statement to the ITC, seen by Bloomberg. "Intel is now the only U.S. baseband chipset manufacturer still standing in the face of Qualcomm's anticompetitive practices." In 2017 Qualcomm launched an petition for an iPhone import ban, complaining that Apple had violated some 16 patents through its use of Intel modems. The ITC eventually found Apple in infringement of one of the patents, but declined to impose a ban — that prompted a call from Qualcomm for a review, the matter which will be ruled on tomorrow. In a statement of its own, Qualcomm countered Apple's stance by focusing on the global context. "Qualcomm is the global leader in 5G development and standard-setting, with Huawei being a close second," the chipmaker said. "Although Apple purports to urge the Commission to keep a second runner in a two-man race, Apple is really urging the Commission to hobble the American leader in a field crowded with foreign entrants." Huawei is believed to have close ties to the Chinese government, which has prompted U.S. and European resistance to adopting its 5G standards and infrastructure, given frequent cyberattacks launched from China. It's unclear to what extent China has been subject to Western attacks. Apple has said that it can get around any alleged patent infringement with software workarounds, but Qualcomm noted that this might actually undermine its case, since it means Apple could have easily avoided infringement and any risk to iPhone imports. Once Apple's exclusive modem supplier, Qualcomm has been largely pushed to the sidelines because of a global legal battle between the pair over patents and royalties. 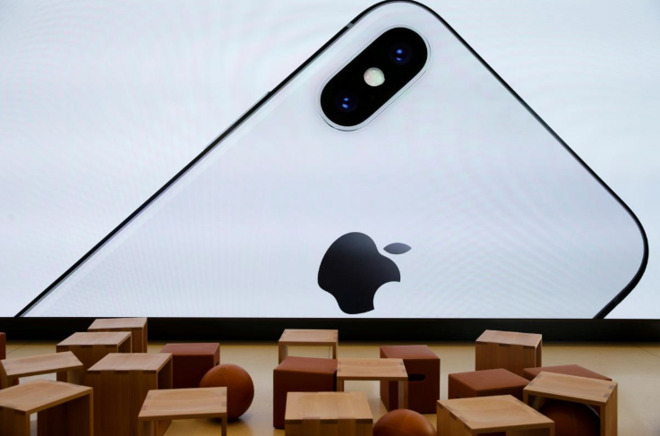 The fight kicked off in January 2017, when Apple sued over nearly $1 billion in rebates it said were withheld as retaliation for cooperation with antitrust investigators. Private lawsuits are ongoing around the world, and various government bodies have pursued their own cases, sometimes leveling millions of dollars in fines. A trial brought by the U.S. Federal Trade Commission, with Apple's help, concluded in January though a ruling has yet to be announced.